The new Lumix DMC-LX15 fits neatly into Panasonic's range of serious compact cameras, and importantly goes head-to-head with the all-conquering Sony RX100 series, offering the same sized 1-inch sensor with the key advantages of a faster f/1.4 lens, intuitive touchscreen control, more refined menu system, and a much cheaper price-tag than the latest RX100 V model. Sony's latest offering is a real speed demon, though, out-gunning the DMC-LX15 in terms of burst shooting and auto-focus, it's much better at tracking moving subjects thanks to the 315 phase detection AF points that it employs, and it has an built-in viewfinder. So while the Panasonic Lumix DMC-LX15 is a better performer in many ways then the RX100 Mark IV, it literally lags behind Sony's newest generation. Only you can decide if that's worth paying the much bigger price of the RX100 V. We'd also suggest that you take a good, hard look at the Panasonic DMC-LX100, which has an even bigger image sensor than the LX15 and is actually cheaper at the time of writing. 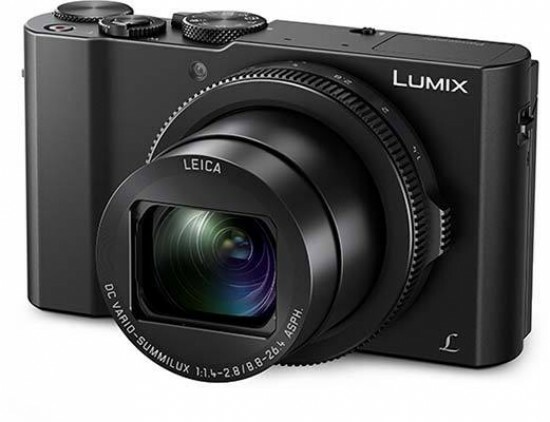 Taken in isolation, the Lumix DMC-LX15 is the latest in a long line of enthusiast-friendly compact cameras from Panasonic, offering excellent image quality and intuitive handling in a pocketable format. There are a few downsides - most notably the lack of a built-in viewfinder, a rather narrow control ring, slow motion video being limited to 120fps, and no NFC connectivity - but for the most part the new LX15 strikes the right balance between portability, functionality and ease-of-use. In summary, if you can ignore the temptation of the sheer speed of the Sony Cyber-shot DSC-RX100 V and you prefer using the LCD screen for image composition, then the Panasonic Lumix DMC-LX15 is a well-appointed and keenly priced rival to Sony's market leading camera.